On Sunday, Nov. 6 from 9:00am-12:00noon, the Source of Synergy Foundation, Communities of Peace and America Meditating Radio Show are hosting Synergy Circle Meditations at significant sites in Washington, DC to raise the frequency of a divided America. 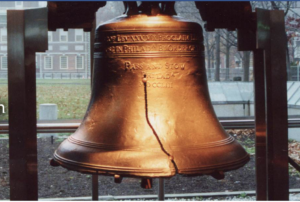 You are invited to join us in person or connect non-locally at sites in your community that evoke our nation’s ideals. 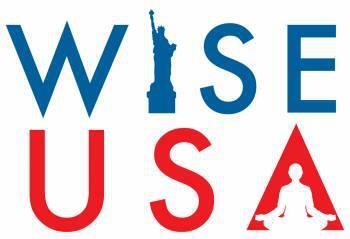 Together, let us harness our collective intention to usher in a new era for the United States of America. Note: There are parking lots near the Capitol Reflecting Pool. Parking may be challenging by the other sites. Note: Clocks move one hour back on November 6th at 2:00am! 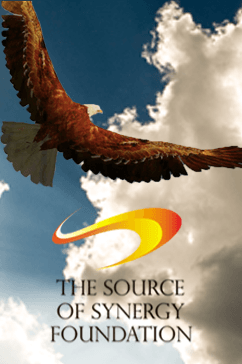 The Source of Synergy Foundation and Communities of Peace will join with America Meditating Radio Show at the Meditation Museum in Silver Spring, MD for this event. 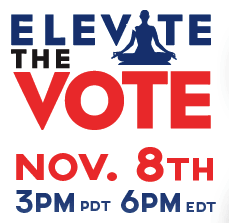 Meditate The Vote: A Multi-Faith Conversation is the first Multi-Faith focused conversation about the movement. It aims to both broaden and deepen the conversation by our listening to the call for reflection from Faith Leaders. After the synchronized prayers and meditation from 3:00-3:30pm, Faith Leaders will facilitate dialogue with the audience in small group discussions. Meditate The Vote: A Time for Reflection invites people of all faiths, and no faith, to come together to reflect and discuss; and to remember what unites us all as the Family of Humanity. Join in person or via livestream at the link below. SPECIAL MEDITATION FOCUS from 3:00-3:30pm Eastern. You are invited to join with like-minded people across America to uplift the frequency of our nation in advance of the presidential election. Diverse groups are joining forces to direct our collective intention toward the shared purpose of standing united for a new level of consciousness in our country and in our world. Your heart energy is needed to UNIFY us as we MEDITATE THE VOTE in service to a WiseUSA with the goal of LIFTING UP THE SOUL OF AMERICA. We are all united in this sacred endeavor to rise above politics, moving from division to vision!